Very Good. Trade paperback (US). Glued binding. 336 p. Contains: Illustrations, black & white. 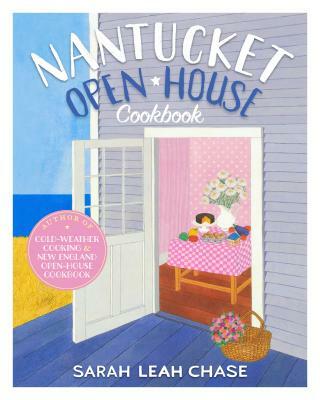 Now cooks everywhere can create more than 250 recipes that have drawn hungry visitors and residents to Nantucket caterer and cooking teacher Sarah Leah Chase. The coauthor of The Silver Palate Good Times Cookbook offers eclectic combinations that center on the freshest of seafood and produce. Illustrations throughout. Good. Trade paperback (US). Glued binding. 336 p. Contains: Illustrations, black & white. Now cooks everywhere can create more than 250 recipes that have drawn hungry visitors and residents to Nantucket caterer and cooking teacher Sarah Leah Chase. The coauthor of The Silver Palate Good Times Cookbook offers eclectic combinations that center on the freshest of seafood and produce. Illustrations throughout.